Every traditional Giselle is drawn in the same broad strokes; it’s the myriad finer details that distinguish one production from another, making yet another Giselle not just another Giselle, but a vivid and immediate experience. At the end of the first act, for instance, Giselle lies dead, literally heartbroken by Albrecht’s betrayal. She is usually seen in her mother Berthe’s arms, although a director might let Albrecht cradle the girl. 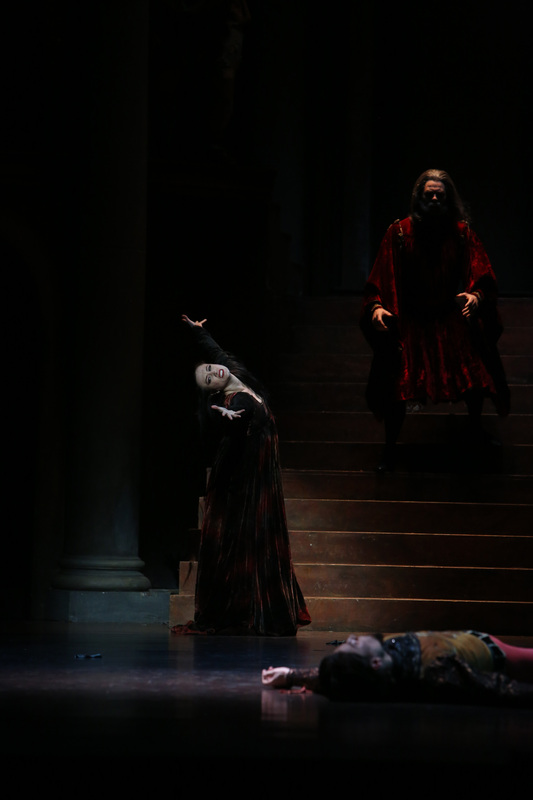 In anguish and with various degrees of violence, Albrecht and Hilarion, Giselle’s discarded rustic lover, accuse each other of causing Giselle’s death. 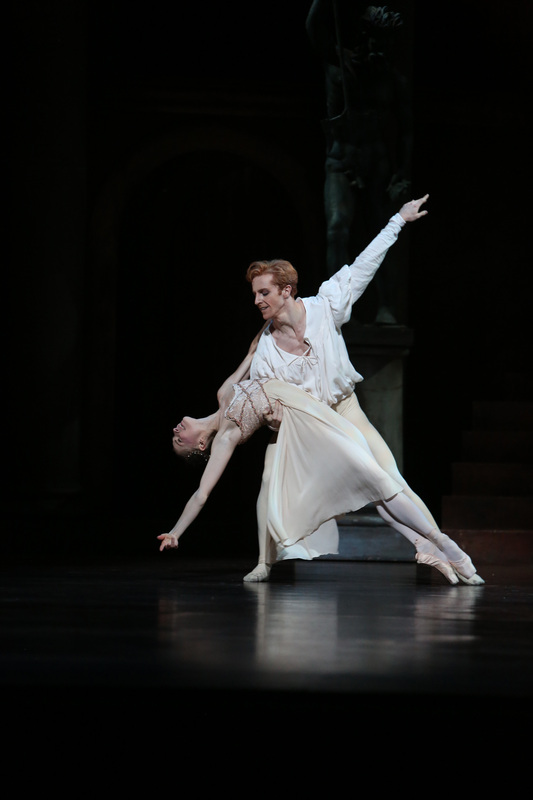 Albrecht is customarily pulled away from the scene by his attendant Wilfred and may rush off in a panic, or may keep trying to return to Giselle’s body and has to be restrained. In Maina Gielgud’s greatly admired staging, revived last year by The Australian Ballet, the very last seconds of the first act etch themselves on the memory. Berthe’s attention is not fully on her daughter but drawn somewhere into the beyond. She looks around in terror: the Wilis are coming. The connection has been made back to Berthe’s earlier description of this encroaching supernatural world and a bridge has explicitly been built to the world of the second act. In Ethan Stiefel and Johan Kobborg’s 2012 production for Royal New Zealand Ballet, the connection made is that of love. The Giselle who saves Albrecht from the wrath of the Wilis is the girl who dies with Albrecht’s kiss on her lips, an intimate touch I don’t recall seeing in other stagings. At every point in every production choices are made – choices that one hopes accumulate into a coherent, satisfying whole. The Stiefel-Kobborg staging is astutely tailored for RNZB’s medium-sized forces (there are 34 unranked company members). Act II is essentially as danced by most companies, albeit with a reduced number of Wilis, but Act I is substantially and persuasively altered. We see more clearly how Hilarion fits in to this little community. He isn’t an outsider who skulks in and out and who is unregarded. He is present much of the time, watching from the edges as his love gives all her attention to another man. Giselle’s isn’t the only heart that’s broken. Stiefel and Kobborg fruitfully abbreviate Bathilde’s visit to this neck of the woods, having the upper-crust party stop only briefly for a drink before going back to their outdoor pleasures. The salient point is made. 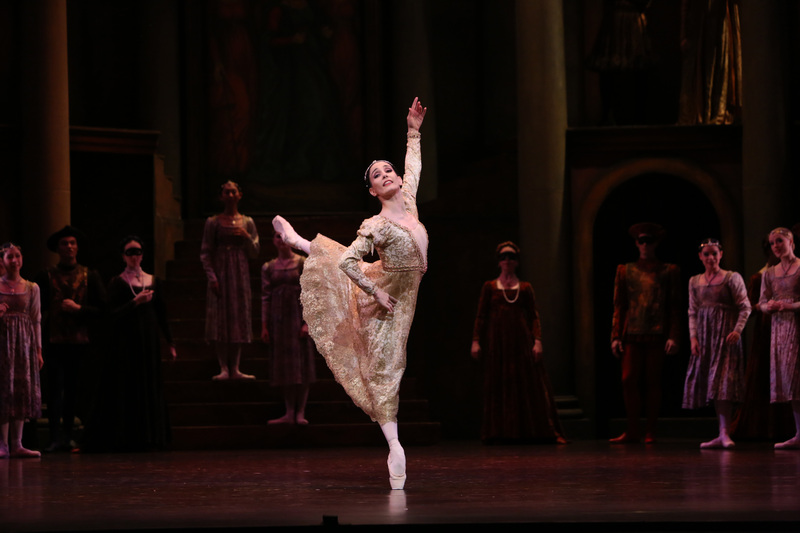 Bathilde is engaged to be married, as she lets Giselle know; Giselle admits to being in love. We know they are both referring to Albrecht. Then Bathilde is gone. It’s a good call – one always wonders why she would stay inside Giselle’s little cottage as long as she does in most productions. With the haughty Bathilde not settling in, there’s no need to entertain her. The usual peasant pas becomes a dance for a Wedding Couple, their celebrations entered into by Albrecht, Giselle and Hilarion at various points. 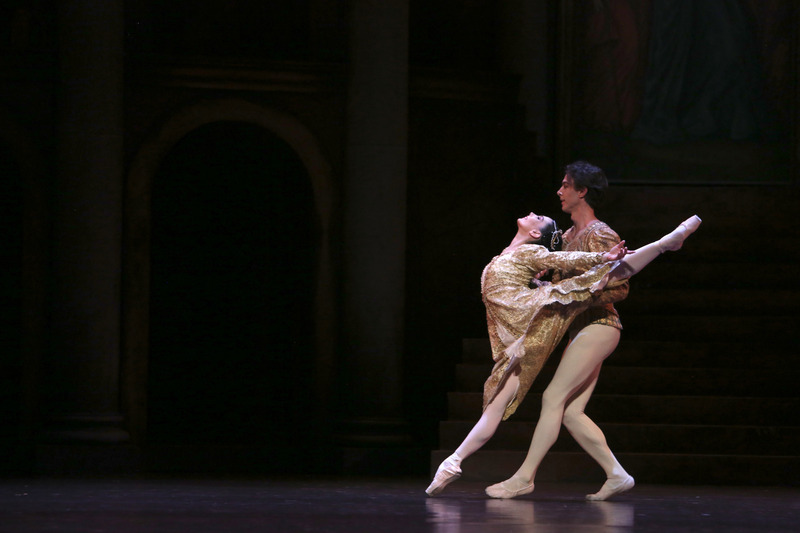 Hilarion, who usually doesn’t dance in the first act, is given his moment to shine as he tries to win Giselle’s attention. That Giselle caught the wedding bouquet makes him an even more poignant figure. A downside is that Bathilde no longer gives Giselle the gift of her necklace, thus robbing us of the powerful moment when Albrecht sees it around Giselle’s neck and knows well ahead of time that his game is up. But there are other pleasures. Giselle’s admiration of Bathilde’s gorgeous gown – the style is Victorian – is enriched by our knowledge that she knows a thing or two about dressmaking: the wedding gown worn by the bride has been made in Giselle’s home. The more fluid approach to the peasant pas section (it rarely feels well-enough integrated dramatically) spills over into the group dance conventionally performed by the women. The Wedding Couple dances here too, as do Albrecht and Giselle. The experience of visiting Christchurch, the largest city on New Zealand’s South Island, was somewhat more sobering than I had expected on this first visit. The city centre is a forlorn place, with many buildings still needing restoration or complete rebuilding after the 2011 earthquake in which more than 100 people died. Recovery is a long process. The city, however, was determined to save the Isaac Theatre Royal. Designed by Australian brothers Sydney and AE Luttrell, it opened in 1908 and had the not-uncommon history of being adapted for use as a cinema in the late 1920s and being in danger of demolition in the 1970s. Apparently this fate was fended off with only 48 hours to spare. Then came the February 2011 quake and significant aftershocks in which the theatre was drastically damaged. The pragmatic – cheaper – choice would have been to build a modern replacement. It has instead been exquisitely restored (and strengthened), retaining its opulently decorated dome, marble staircase and ornate plasterwork. (You can read here about the extraordinary amount of work it took.) Not surprisingly, Giselle looked perfect there. It was heartening to know that when it was devastated, the city understood the need to revive this beautiful place of art and community. Giselle continues its national tour in Auckland, August 31-September 3; Rotorua, September 6; and Palmerston North, September 9.